“The Kumbh Mela area has been brought under surveillance of these centres and CCTV cameras. The system will facilitate controlling and keeping safe the traffic movement and the crowd coming to the mela,” he said. The minister said representatives of 192 countries are expected to visit the Kumbh Mela. “Ambassadors of about 71 countries had witnessed the preparations for this grand event. A conference on NRI day is being organised in Varanasi this month. Over 5,000 NRIs are likely to visit the Kumbh,” he added. 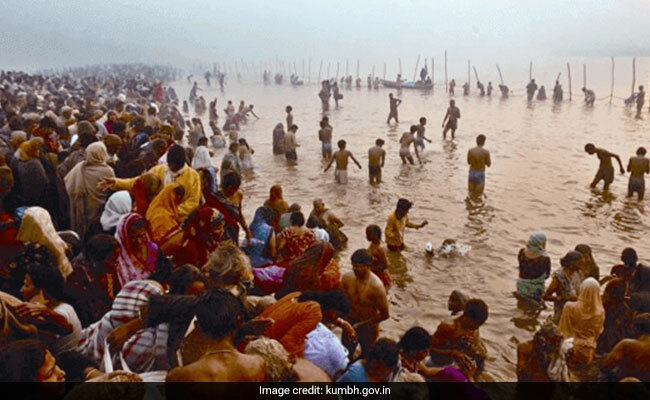 “To ensure participation of people from all states, the Uttar Pradesh government is making efforts to bring people from every state in the Kumbh. For the convenience of devotees and tourists, air, road and river transport facilities have been made available,” Mr Khanna said. “The Narayan Seva Sansthan will also establish a 100- bed hospital along with artificial limb development unit where differently abled individuals will be measured for customised size and shape.